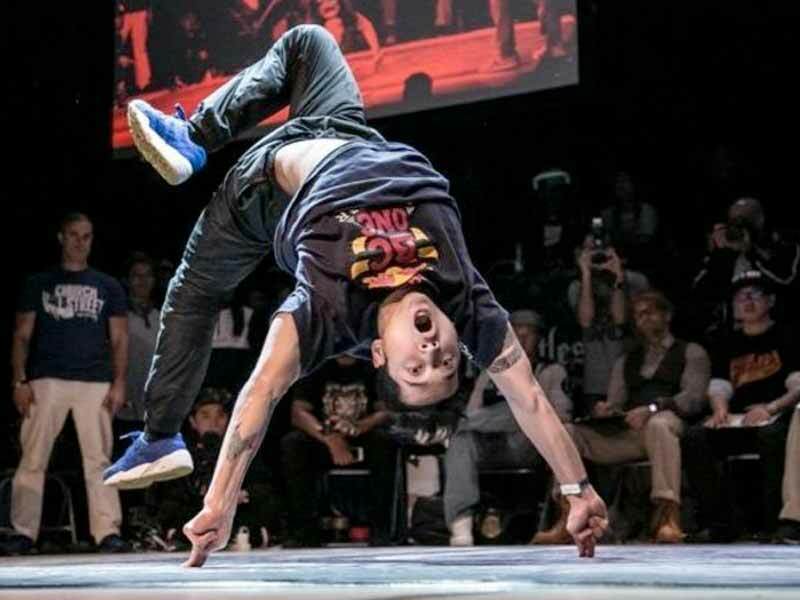 Hip Hop dancers from all over the world took part in this year’s UK B-Boy Championships. This image is of Neguin, a member of the Red Bull BC One All Stars, the team that won the 2016 competition. B-boy stands for ‘Break Boy’ and B-girl stands for ‘Break Girl.’ These terms evolved in the early 70’s when Dj Kool Herc would play the parts of songs where there were no lyrics—just the beat. These were called the breakbeats. The young men and women who danced to the breakbeats were called “B-Boys” and “B-Girls.” In time, they would add moves from mixed martial arts to their breaking.